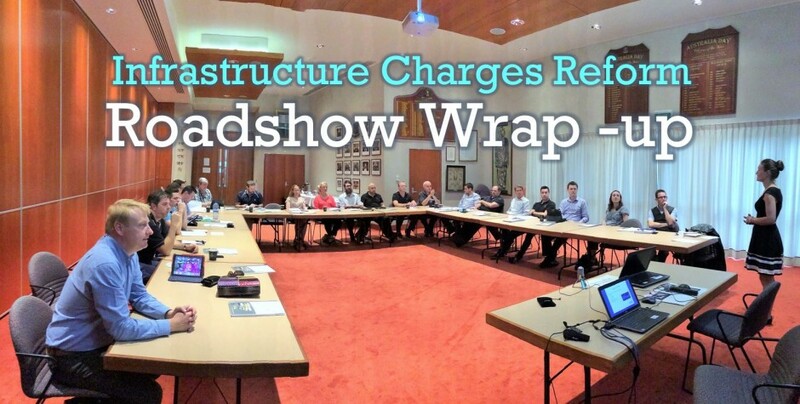 The ‘Infrastructure Charges Reform – Implications & Tactics’ seminars held by Integran around Regional Queensland have had a tremendous turnout. The seminar provided Integran with the opportunity to further understand the issues faced by Local Councils in interpreting and implementing the new legislation and to share experience from Regional Areas with other Councils around the State. -Preparing a template for the Information Notice that will now accompany the ICNs. With 2014 quickly disappearing Councils have commenced replacing their existing Adopted Infrastructure Charges Resolutions (AICRs) with charges resolutions that comply with the amended Act. Although not due until 30 June 2015, new compliant charges resolutions are recommended to be put in place as soon as possible to replace the ‘default’ provisions that apply under Statutory Guideline 03/14 – Local Government Infrastructure Plans. These default provisions include trunk infrastructure criteria and a method for determining infrastructure costs. -Refunds to reflect actual costs solely at the discretion of the applicant through a recalculation notice. As briefly mentioned in the seminar, Integran is working hard on finalising its CORR software – a user friendly model to meet the growing and complex need to manage infrastructure charges regimes in a responsive and auditable system. The model will reflect the desired outcome of the legislation which aims to bring together all facets of local government business, including land use planning, capital works, asset management and financial sustainability. Thanks for all of those people who have attended the seminars. We look forward to continuing the discussion on our website as we all work through implementing the new legislation.